Grew Up… in a broken home. Mathilda’s father was a drug addict and her mother was completely negligent. The only family member she cared about was her younger brother. 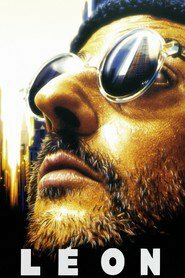 Living… with her neighbor, a man named Léon, in New York City. A vicious rogue DEA agent named Norman Stansfield murdered Mathilda’s entire family, a fate she only escaped because she was shopping at the time. Now, she’s taken shelter with the gentle Léon, a hitman by trade. Profession… hitman, or “cleaner,” in training. Mathilda makes a deal with Léon – she will help him cook and learn to read if he trains her to kill. Mathilda wants nothing more than to get vengeance for her brother’s death, who was mercilessly executed when Norman Stansfield slaughtered her family. Relationship Status… “in love” with Léon, or so she says. The sweet and flirtatious Mathilda claims to be in love with her awkward caretaker, though he knows that a 12-year-old cannot understand what she is talking about. Still, there’s a strange and undeniable attraction in their relationship, something that causes Léon constant discomfort. Challenge… finding the psychotic Norman Stansfield and killing him. Mathilda has been trained by the best – Léon – but it’s doubtful that she’ll ever be truly ready to kill the wary and cagey DEA agent. Long odds won’t stop her, though, as Mathilda is more than willing to die if that's what it takes to avenge her brother. Personality… charming, innocent, and oddly coquettish. Mathilda can’t seem to help but flirt with Léon, whom she sees as her guardian angel. She is a wise old soul, and street-smart, but carries deep emotional scars from her dysfunctional childhood. She stands on the precipice between a normal life and one consumed by violence, and seems almost psychotically eager to seize the latter. Mathilda's popularity ranking on CharacTour is #434 out of 5,000+ characters. See our top-ranked characters and read their profiles.